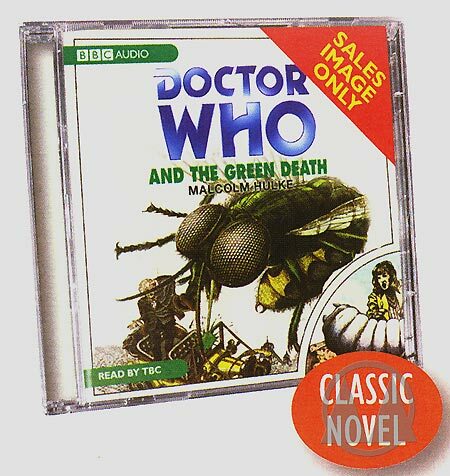 This provisional sleeve image, for the Doctor Who And The Green Death Target novelisation audiobook, comes from BBC Audiobooks' July-September sales brochure. I don't think it's been made available online elsewhere. Rather striking, isn't it!? It's due for release on September the 11th. Several new titles have been added to our forthcoming releases database, Incoming, in the last couple of days (or had press release details added to existing listings). These include the long-overdue Director's Cut version of David Fincher's much-admired serial killer thriller Zodiac (on DVD and Blu-ray); the football-themed Channel 4 play Those Glory Glory Days; cult favourite Trouble In Mind; the Catherine Deneuve classic La Demoiselles De Rochfort, from the BFI; shlock horror from Iron Maiden's Bruce Dickinson, with Chemical Wedding; and, for you steam railway fans, the BFI's Black Five. We also have full details of a terrific new collection of Wim Wenders movies, from Axiom Films. They are: The American Friend, the sublime Paris, Texas, Kings of the Road, Wings of Desire and Wrong Move. I'm amazed that perennial family favourite The Neverending Story has never been available on DVD in the UK. That changes on August the 18th, when Warner Brothers release a rather underwhelming disc, sadly without the extensive special features a film like this deserves. Still, at least it's reasonably priced! The Incoming listing is here. The August DVD release of the Stargate movie, from Optimum, originally announced as a two-disc Special Edition, will now be a vanilla release, and a feature-packed edition will be released during 2009, to celebrate the film's fifteenth anniversary. The Blu-ray version, also due on August the 4th, will have the originally-announced bonus features (there's some doubt, though, if it will feature the billed commentary track). The DVD and Blu-ray release of John Carpenter's They Live have been postponed until September the 22nd.